Send luggage to and from Queen Mary University with My Baggage! We provide fast, convenient and low cost student shipping to help make your move to and from university much easier. 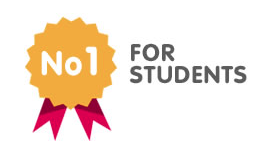 My Baggage is the No.1 Student Shipping Company. We specialise in transporting luggage to and from universities, student houses and flats. Booking online is quick and easy. We provide you with door to door service, full online tracking and SMS and email notifications. Cheap prices – it costs from £16.99 to send 30kg! Sending luggage with My Baggage is easy. It takes just a few minutes to book your shipment online. Visit our homepage, get a quote, enter your address and luggage details and click the ‘book’ button! After that, we’ll do the rest. We’ll collect your luggage from you and deliver it to where it needs to go. You can track your luggage online and we’ll provide you with text and email updates. My Baggage provides door to door service for the ultimate convenience. If you are living in halls, our drivers are not permitted to deliver to individual rooms, so your items will be collected from/delivered to the reception area or postal room. Call or speak to a member of staff from your halls to find out the exact location. If you live in a house or flat, we can collect from and deliver to your front door. We know that speed is a top priority when it comes to sending your luggage. The last thing you want is to hand over all your belongings to a company and wait ages for it to arrive. For that reason, we provide fast shipping times. You can choose between our Economy (2 day) and Express (next day) services. When booking, we will show you an estimated delivery date AND you can follow your luggage in transit with our handy online tracking tool. Queen Mary University of London is an extremely popular choice for international students from across the globe. Not only is it renowned for an exceptionally high level of education, but being situated in the bustling city of London, makes it an attractive option. If you are one of those students travelling to QMUL from across the world, My Baggage can help! We provide low cost international student shipping to and from 200+ countries worldwide. So if you’re travelling to London at the start of term, or home again at the end, we can give you a helping hand with your belongings. At My Baggage it’s our priority to keep prices as low as possible to suit a student budget. It costs from just £16.99 to send a 30kg item – that’s almost half the price of most airline baggage and double the weight! We provide a very useful Price Match service, so if you do happen to find a cheaper price elsewhere, you can let us know and we’ll try our best to beat it.